Conversations with 5 senior attending cardiologists and we’re still trying to figure this out. People have this nifty capacity for interpreting the same situation differently. For example, I left Ari in CICU just before 1 a.m. Woke up at 6 and called to see how he was doing. Much better, his nurse said. Had a quiet night, and his numbers look good. Yeah, I guess I was. Meanwhile, the upshot is two wolves are battling. One wolf is the good wolf, fighting for better heart function, and time to heal and remodel. The other is the bad wolf, with his high atrial pressures, lack of heart relaxation, failed valves, and pulmonary hypertension threatening Ari’s survival. In the cath lab yesterday Ari was “fragile,” “weak,” and “unpredictable.” Managing him was “delicate.” He required a lot of “support” to keep him stable throughout the procedure. Once again, Ari looks good in the showroom, but under the hood not so much. As one of Ari’s doctors, said, “Ari’s heart is very sick.” We love him, though he’s about as sunny as Superstorm Sandy. He makes this guy look like Tony Robbins. Right after the cath, even Wayne, who is typically on the positive side when there’s reason to be positive, was resoundingly noncommittal on where Ari’s path will take him. His mitral valve stenosis gradient was reading 8 on echo. 8 would be characterized as “moderate” stenosis. Via cath – which is much more accurate than echo – it was reading 13, which is “severe.” You might think, “bad wolf” and you’d be right, but now it’s reading zero, and the valve is functioning properly. From bad to good. His pulmonary hypertension was back at “full systemic” pressure. This is bad, and not sustainable long-term, though there’s hope it’ll recede again in the coming weeks/months. Post dilation of the valve it was unchanged, as was his left atrial pressure, which was reading 20. 5 to 9 is normal. Below 15 is typically manageable, above 15 not sustainable. Given the difficult cath and sick heart, they decided to leave the breathing tube in and send us to CICU instead of the floor. For the first several hours he looked like hell. Eventually we extubated him. This went fine, though he needed narcotics for discomfort and he wouldn’t settle out. Rough 6 hours or so. Eventually he settled out and relaxed. His heart rate, blood pressure, breathing, and oxygen saturation improved to a pretty good point where he was stable. (Good wolf! Well, maybe…) He actually looked improved, but tired, and is already smiling like his usual self. Except for the fun of yanking the IV out of his head, not much happened late. The plan is to move him to the floor today as he’s not acutely in danger, keep him and watch him, figure out a new medication plan, and send us home when he’s stable in a few days assuming no curveballs. We haven’t yet ruled out Ari’s swim lesson on Saturday. He started them last week. A long time ago, a young Navajo boy was brooding over his poor performance in his first hunt with the men of the tribe. The brooding lasted through the night and into the next day, when his father, seeing his son sulking, sat down with him. I wish it were this simple. What can I say? It’s not so easy to feed the good wolf all the time. Yesterday we were intent on helping the bad wolf pack on a few pounds. We’re thankful to have a lot of love and support, and this fabulous little dude named Ari who needs to grow, learn to swim, fish, ski, and golf. He needs girls (if that’s his thing), college, love, kids, grandkids, retirement, a condo in Boca, and sunrises on the beach with his old lady. Lots of reasons to help us to stay the course. And feed the right wolf. Related to “feeding the wolf,” I heard this story as I was diagnosed with cardiomyopathy several years ago. I listened to my doctors, took my meds, etc. I was a model patient. However, I put my energy into being like the St. Augustines. I was going to be “positive. And my heart is getting better.” Every day, I visualized my heart working better, pumping more blood. My daughter was only one year old. I refused to entertain any other outcome. I wish your family much health and happiness, and definitely, keep feeding the right wolf. My heart, thoughts and prayers are with all of you…and feeding the good wolf! I hope to see Ari at home soon! The little ‘lion’ , aka ‘Little Einstein ‘ will join forces with the good wolf and starve that awful bad wolf. Our thoughts and prayers are with you all. Mike, thanks, so much for keeping your spirits up, at least in your posts, and keeping all of us in the loop. You know we are all in this behind and beside you. LOVE Joannah’s play list!!!! Mike you are great. Beautiful photo of your family.. If you ever need another compassionate ear, I am a psychotherapist, and your friend. 2013 is all you little man! I am so sorry you are in this place and are caught between two extremes. I pray that the good wolf will be the one who gets fed, but I also know of that bad wolf that always shows his face when you least expect it. I pray that answers come for Ari and that you and Erica get some rest. We are going to be on 8 East for a cath on thursday- please let me know if you guys need anything. Keep fighting Ari! I want / need to see a picture of my smiling Ari!!!! In the meantime, I will be feeding the good wolf and starving the big bad wolf!!!! Prayers headed your way!!! May I ask a terrible question? Wouldn’t a transplant be okay? I am clueless but a new heart that works and can grow with him? We continue to pray. Hugs. Sending you all thoughts from the mountains of Sugarloaf and the coast of Wells. You make me weep – for all the important life lessons you have taught us through Ari about what counts, what doesn’t, and about how imperfect we are as humans. Loving and trying is the best we can all do, and I do so for Ari’s good wolf. Thank you for taking the time out to update all of us whose hearts are with Ari, you, and Erica. I’m so sorry for the rollercoaster, it is not a fun ride. Though I don’t know you, my love, thoughts, prayers, empathy and compassion are with you in Boston. This one’s from me and my 25 year old “heart baby”. 25! Just think of that. Thank you for the update. Continued prayers for you two and for your beautiful child. May the good wolf endure. best wishes to the three of you. in my prayers and hoping to have a report from the swim class on saturday w/ i beautiful picture of your little warrior. will keep the candle lit for ari- and always kiss him goodnight from a friend in kentucky. Well you’ve got facts now. Maybe not so much all the answers but with a bit of time and the right team assessing the facts, and feeding the good wolf, things will improve. Ari’s tough and he’s going to do all he can with your love and support and the best medical team available. He’s already figured out what those blue eyes will get him from nurses and he can’t wait to find out what they will do in the big big world. Keep up the good work big guy. I just don’t know what to say.. Love and prayers from Austin! Sending my love and prayers to all 3 of you. What a very tough day you guys had and I can only imagine how hard it is to see Ari through this. It has to also be tough to hear all the opinions, it’s nice to know for sure the perfect plan. I hope Ari is feeling better today. I hope you and Erica are finding time to rest. I will keep hoping and praying for a clear plan, comfort for Ari, and feeling of support to you and Erica. This kid amazes me, he is full of the good wolf as far as I can tell! And you and Erica are his rocks, what a road you are journeying down together! Prayers, positive thoughts, fingers crossed, all that good stuff being sent your way from this “Heart Mom”. Thank God for an update!! I’ve been on pins and needles since yesterday. so once again, wait and see. I HATE wait and see. And I know y’all do too!! I guess wait and see is better then go into surgery now. Much love to you all. Give Ari our love. Yes, you three are always in my thoughts and prayers. and it gives me great hope. Wow. A lot on the table. So hard to have so much to consider, so much to wait & see about while potentially needing to immediately intervene. Tough spot for ol’ Mom & Dad to be in – not knowing what lies ahead..over and over again. Tough, tough spot. And yet once again, you guys sound far from immobilized….pretty amazing job you two continue to do with all this. Wish we could all just fast forward to a double family vacation together when the kids are teenagers rolling their eyes at us and sulking while we drink margaritas and celebrate just how far we’ve all come. But I guess we’ll have to just continue to wait and see….wait and see…. Will be at Children’s on Thursday…let me know if you need anything. Feeding the good wolf, sending lots of prayers your way. Ari is a fighter, he will surprise you and tell you “come on in, Dad, the water is fine!” God bless all of you. Oh my, Mike you are so eloquant! You bring tears to my eyes. I love you guys, and don’t even know you. I will pray to keep the bad wolfs at bay. Ari deserves every chance he can get. He already has a big boost, having you and Erica fighting for him in the trenches. Sending love along with prayers. Sending love, support, and prayers… food for the Good wolf. Hang in there. Good Lord I am happy for an update. The conflicting or non-commital information from the cath has to be frustrating / exhausting / scary … hang in there and start inflating your swimmies (we call them water muscles), i bet you’ll be in the pool Saturday! 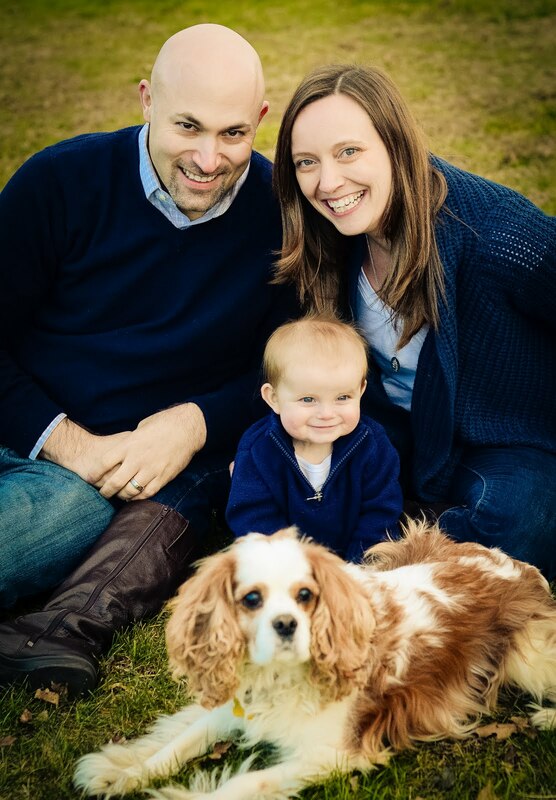 Mike & Erica – you have without a doubt a precious little fighter!!! I will continue sending prayers, hugs and lots of love that your warrior gets past this hurdle with flying colors! He is one special little boy!